What is the most valuable asset to the fire service? Thankfully you can do something about this! So what can you do about it? …you can share the same experience as Chief McNeely and the Kenosha Fire Department! 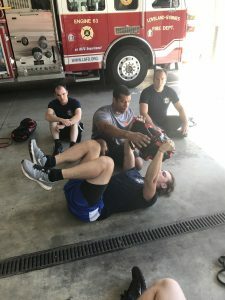 Firefighters are continuously plagued by lower and upper back discomfort, knee pain and much more that continues to be a major contributing factor to the injuries firefighters experience. By training to BE DYNAMIC you and your department can experience relief just like Dan! Firefighters need to move to operate. However, when we move we tend to do things very inefficiently. The cost of this is that it decreases performance and safety while increasing the amount of energy it takes to perform even the most daily tasks like climbing a ladder. 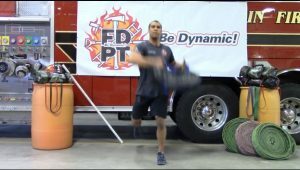 See how training to BE DYNAMIC can train your firefighters to MOVE BETTER with increased efficiency! 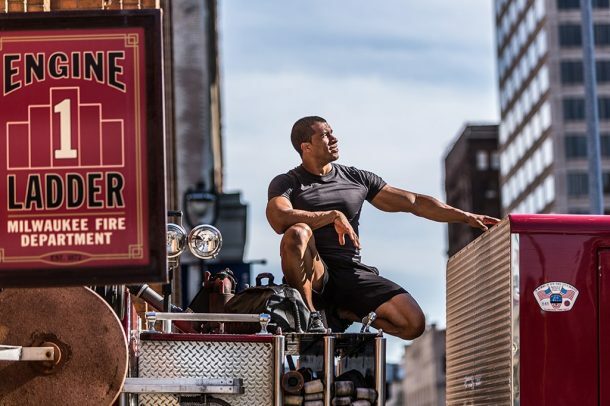 Firefighters are high performers. You need to change levels, crawl and climb, push and pull, rotate and resist rotating, carry/drag and step in environments that require you to adapt. This is essential to training to BE DYNAMIC and a part of every BE DYNAMIC Training Program for you and your department! Hear from RICK how training to BE DYNAMIC supports the unique demands of our profession! Now that you can see what it means to train to BE DYNAMIC it’s time that you experience it. Your experience for training to BE DYNAMIC begins with a hands on workshop for you and your department! This way you and your firefighters will for yourselves what it means to BE DYNAMIC! How can you conduct a hands on workshop and receive all the additional services listed above? By following the step by step process below! Start the conversation in your department! Your firefighters will gain so much by training to BE DYNAMIC! Share this with your chief, your firefighters, your members and more! Continue the conversation with Jordan Ponder! From there, let’s continue onward by including Jordan Ponder creator and owner of BE DYNAMIC Training by scheduling a time to simply chat about all the great things you can do in your department! From there, Jordan Ponder will fully inform you the next steps! Now it’s time to get ready! Here we’ll make the plans regarding the location and how you can fulfill the commitment echoed by Jordan Ponder from your chat! Here you’ll begin the process to move forward to BE DYNAMIC in a way that will support your department to BE BETTER just like John in this video! You and your department are DYNAMIC because the needs you have are DYNAMIC. It is here that you will learn how to BE DYNAMIC in a way that will develop skills that transfer over to the emergency in enjoyable and exciting ways just like the South Milwaukee Fire Department who was kind enough to send this message to the greatest coaches Jordan Ponder has ever known – his 3 kids! Believe it or not, by training to BE DYNAMIC you’ll be getting a lot more than just an exciting and enjoyable hands BE DYNAMIC Workshop. You’ll be receiving additional details designed to continue developing you to BE DYNAMIC! Interested in more? 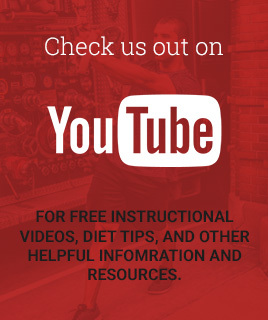 Take a look at BE DYNAMIC Training Resources to learn more!